A few weeks ago, I was in Johannesburg, South Africa speaking at a conference. I had a free day and they took me to a drive-through lion habitat. They did warn us to not let our windows down. To do so would be hazardous to say the least. A few weeks earlier, a lady driving through had let her window down. One of the lions snuck up and lunged into the open window. Sadly to say, the lion dragged her out of the car through the window and killed her. That was enough to convince me to not let down the window for sure. As I processed the day, I was reminded that we have an enemy who has been compared to a dangerous lion. Satan is compared to a lion. A lion who is looking to devour people spiritually. The verse tells us to stay alert. To watch out for the enemy. 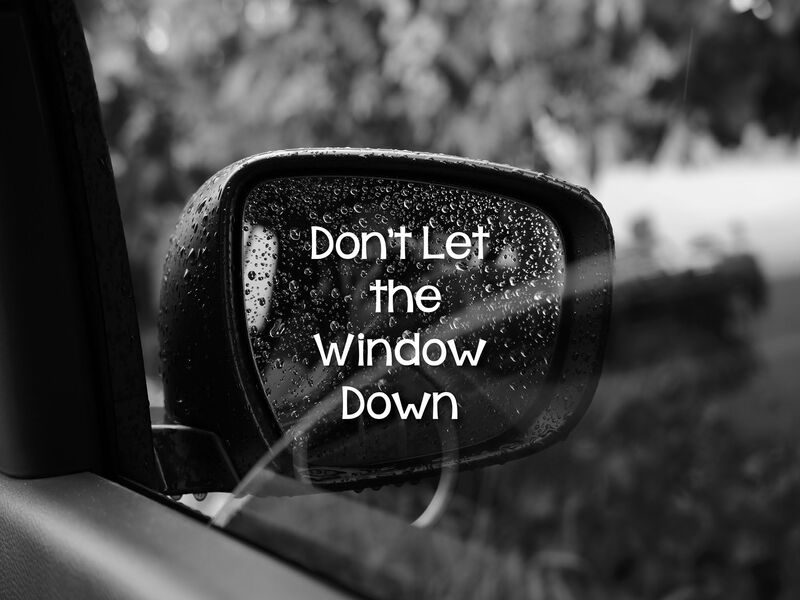 In other words "don't let the window down." Don't leave him any room to drag you down. In recent years, it has been sad to see many pastors and church leaders take a moral fall. Somewhere they "lowered the window" and left themselves open to an attack. It might have started with just cracking the window a little bit. An inappropriate touch. A suggestive comment. Saving other people's marriage while neglecting their own. Pride. Going through the "work of the ministry" with little to no personal spiritual growth. Using church money for personal gain. These are just a few of the ways leaders roll the window down and leave themselves vulnerable for an attack by the enemy. I often say, "The best way to be successful in ministry is to stay in ministry." If you're going to stay in ministry, you have to keep your guard up. Don't crack the window. Not even an inch. That inch becomes 6 inches. The inches turn in to a wide open window that can lead to your spiritual demise. Someone may be reading this who has their spiritual window down. Please, please, please, roll the window back up. We need you. God's kingdom needs you. The community you are ministering to and trying to reach needs you. The enemy is just waiting for an opening. Don't give him that opening. p.s. Here are pictures I took of some of the lions. With the car window rolled up of course.